PST to PDF Export software enables users to convert Outlook emails to PDF in batch with attachments. One can print PST files without Outlook in Adobe portable document and make them usable for different legal purposes. The MS Outlook emails to PDF converter software can work efficiently on Outlook 2016, 2013, 2010, 2007, 2003 & its below versions. 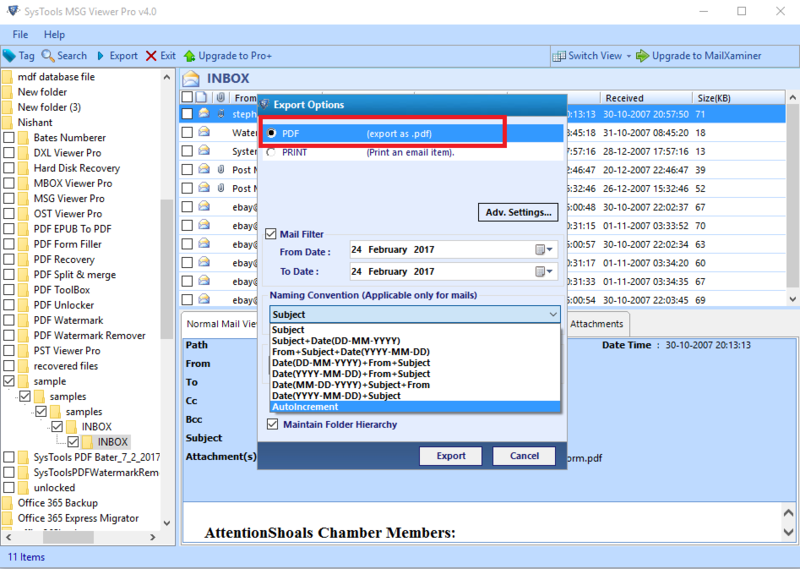 The software provides an easy and simple procedure to print Outlook emails to PDF with attachments. It does not require any supportive application for working and exports unlimited messages from PST files without any hassle. The tool will export MS Outlook to Adobe PDF format with its attachments too. When the software is done with complete file scanning, it uploads all extracted items on its preview wizard. PST to PDF converter renders a smart feature of previewing Outlook data before attempting the entire procedure. Here, users can view all email properties and attachments of PST file. Select Specific Items:Select the desired items from preview wizard and right-click on it. 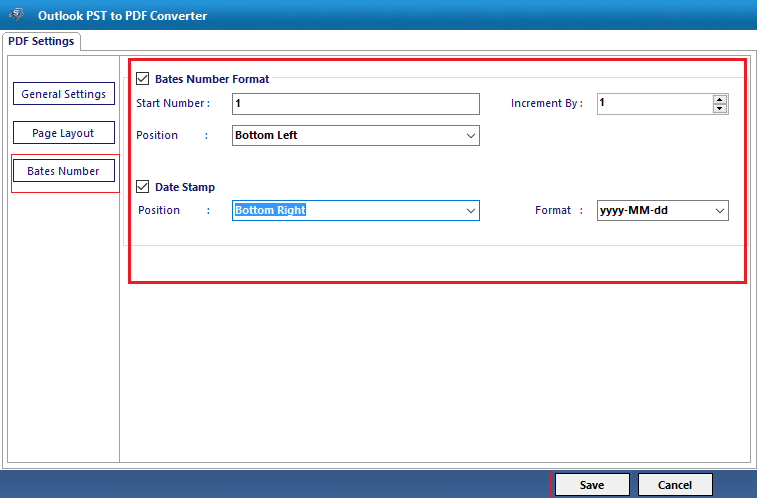 Click on Export button to convert only selected PST data to PDF format. To export PST files as .pdf format, the user can select the Folder Mode to add multiple PST file in this Outlook Emails to PDF Converter application. This will allow the users to perform a bulk conversion of PST emails into PDF Document format effectively. 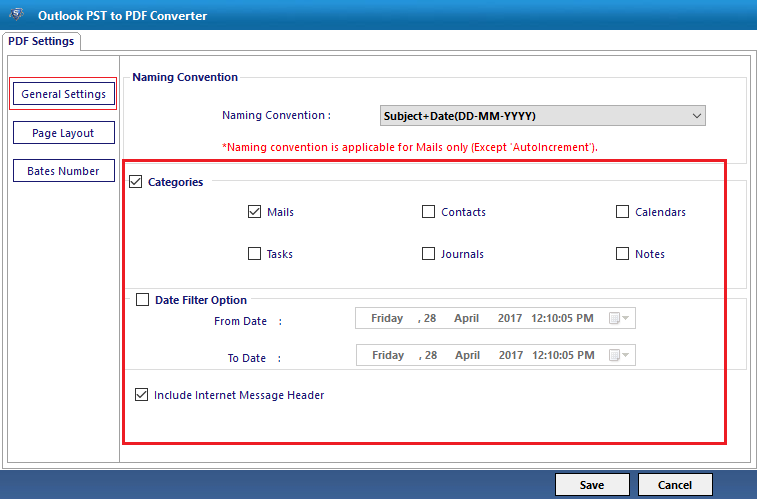 Outlook PST to PDF converter provides a general settings tab in which users can change PDF file name, categorize PST folders, apply date filtering feature, etc. If not then, one excludes the internet email header part by unchecking the checkbox of ‘include internet message header’. This Microsoft Outlook Personal Storage files to PDF converter software allows the users to maintain folder hierarchy of the Outlook Data files in the user system while exporting PST files in PDF format using the application. Users can convert Outlook Emails to PDF by changing the default page or paper orientation to the desired manner. Different margin parameters and page size options are provided in ‘Page Layout’ tab to modify the output Adobe PDF file. Users can set resultant PDF files in the manner they want them. The Outlook PST to PDF converter is providing one more unique feature of appending bates number in the portable documents. Not only this but, the product also provides ‘Date stamp’ with the feature to adjust it in the PDF files. Users can choose any value for both these parameters, as per their need. The software gives its customers a chance to save resultant Adobe portable documents at the desired location. It will be keeping format, style, and content in the same way as of the original one. 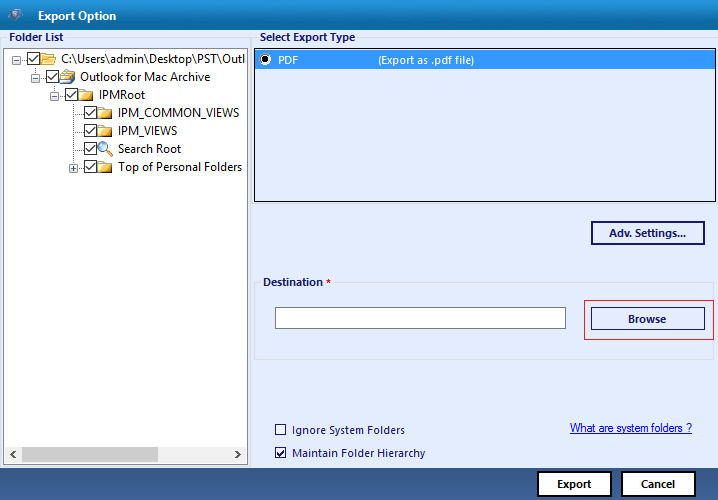 Not only this but, folder hierarchy will also be maintained throughout the PST files to PDF conversion. Step 7 : An Export wizard appears in which you have to select all those PST folders whose items are to be saved in PDF format. Q. What makes your Outlook folder to PDF converter unique? Q. Can anyone tell me what will this tool print Outlook 2013 email as PDF document? Ans: Yes, not only emails but, tasks, notes, calendar, and contacts too, are supported for conversion by our software. 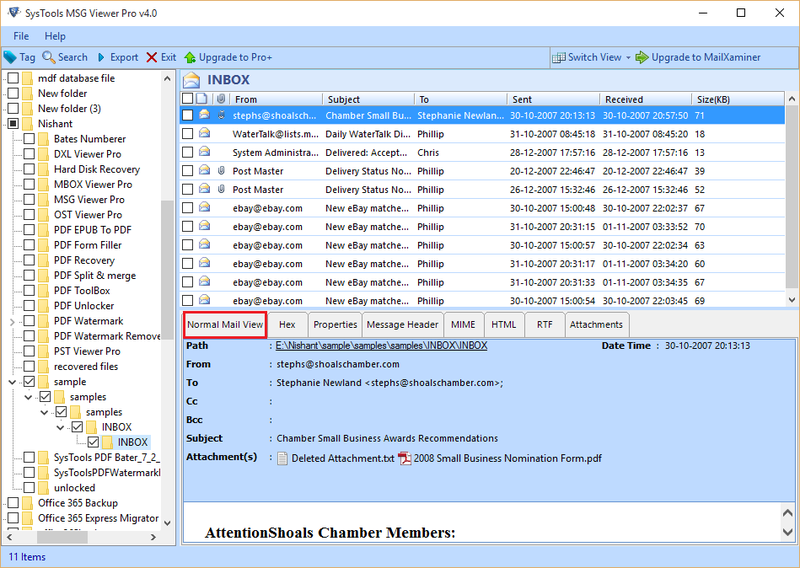 You can check the check-box of PST address book folder to save Outlook contacts as PDF file. Q. Will your software support corrupt PST file? Ans: No, the Outlook files to PDF converter supports only error-free PST file for the migration. 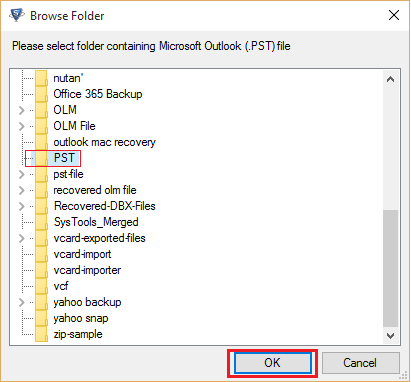 You can use our Outlook recovery software to create a healthy PST file and then, use this product to accomplish your task. 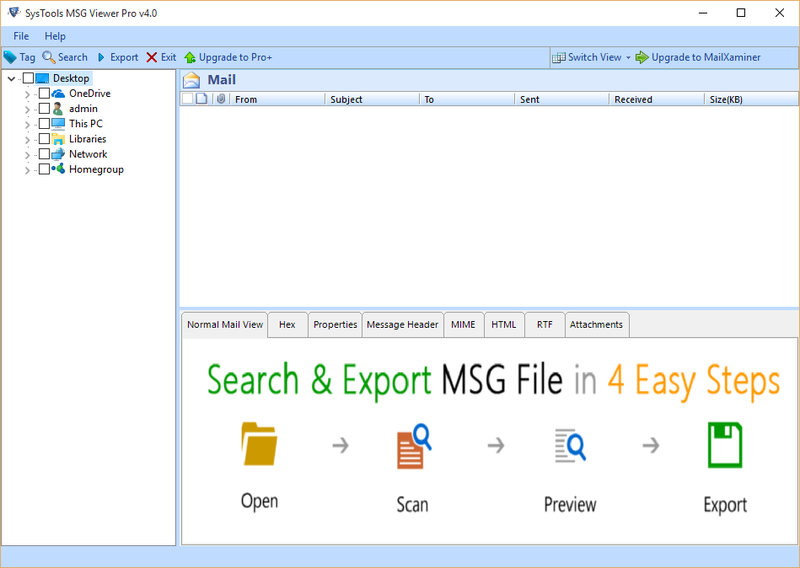 MSG to PDF Converter can batch print MSG messages to PDF with attachments. This Outlook Emails to PDF Migrator wizard has the potential of export hundreds of emails in .msg format to .pdf all together even without MS Outlook. The MSG to PDF conversion software can print or export Outlook messages to PDF format even without Microsoft Outlook installation in the user’s system. 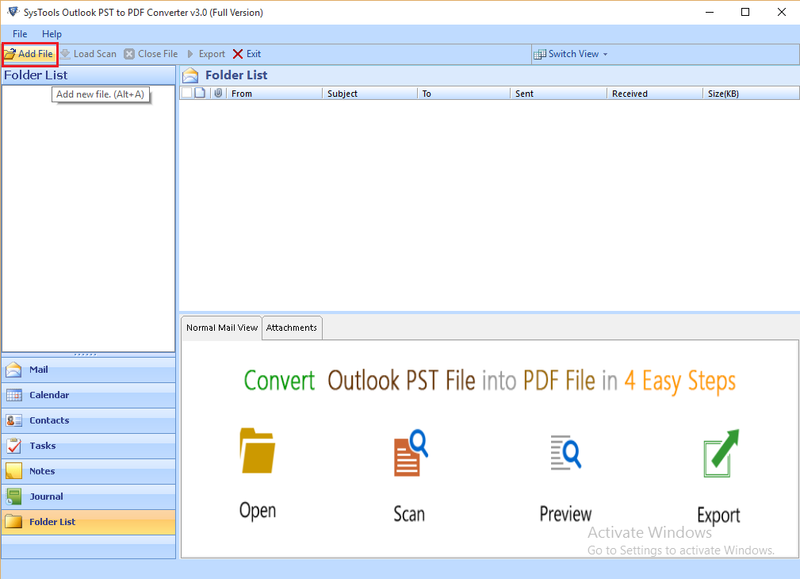 Outlook emails to PDF Converter application to exports .msg emails to PDF file format, supports all windows OS versions namely, Windows 10, Windows 8.1, Windows 8, Windows 7 etc. & all below versions. Ensure that the data that is needed be exported in PDF file format is previewed before migrating. 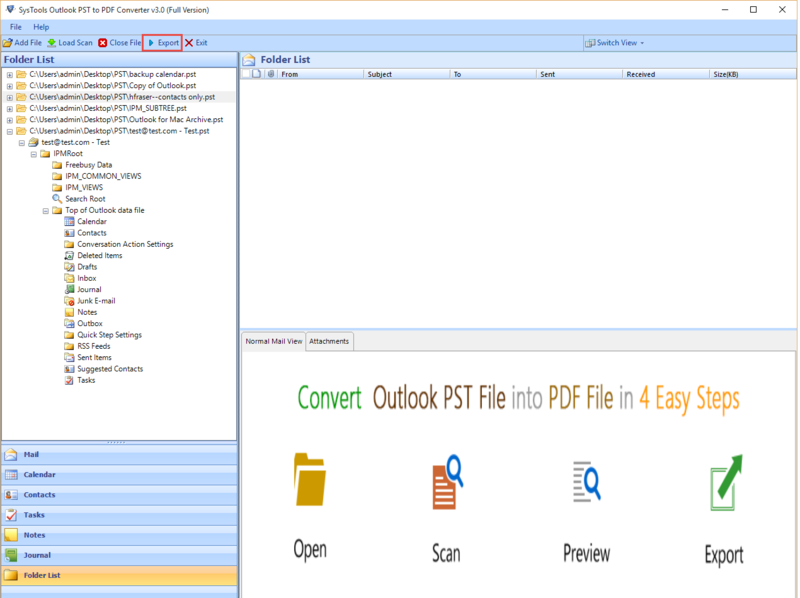 This Outlook emails to PDF Converter provides numerous facilities to preview MSG emails with attachments. It helps users in determining data items, which needs to be migrated into PDF. The utility offers users an option to export MSG files in PDF format. This software is not bounded to any file size limitation. All the mailing properties along with internet header and attachments are exported to portable document (.pdf) using this tool. 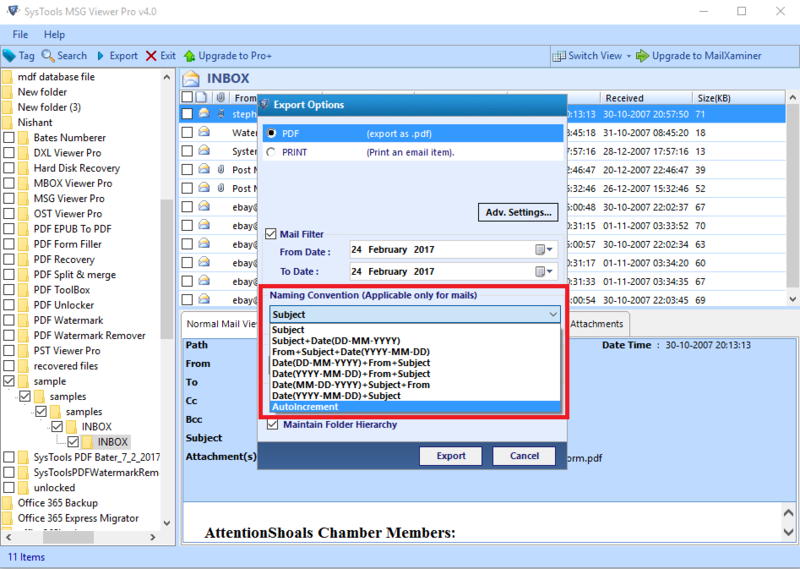 MSG files to PDF exporter wizard facilitates an amazing option for moving specific MSG emails into PDF. 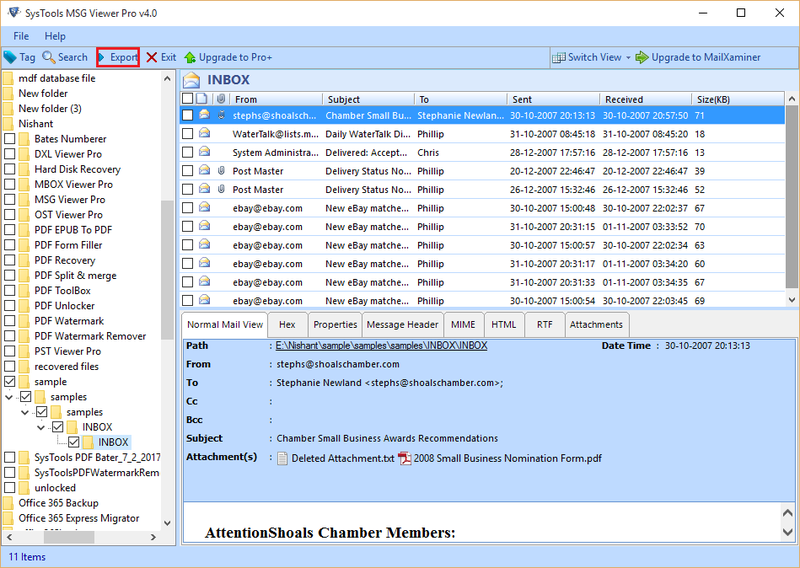 The users can even make use of mail filtering alternative for storing messages of particular date-range. In contrary to it, users can even check the emails/folders, which are needed to be migrated in PDF. While exporting MSG files into PDF, users are well equipped with options for saving the file to a customized location despite the system drive or external storage device, the PDF files can be stored at any location. This Outlook emails to PDF migration utility even retains the folder hierarchy while migrating the files. The MSG to PDF converter software facilitates users with advance setting options to deal with page layout and Bates number. Anyone can change default orientation of Adobe PDF files and include bates number to it. The wizard makes sure that there is no data loss while performing migration of files. 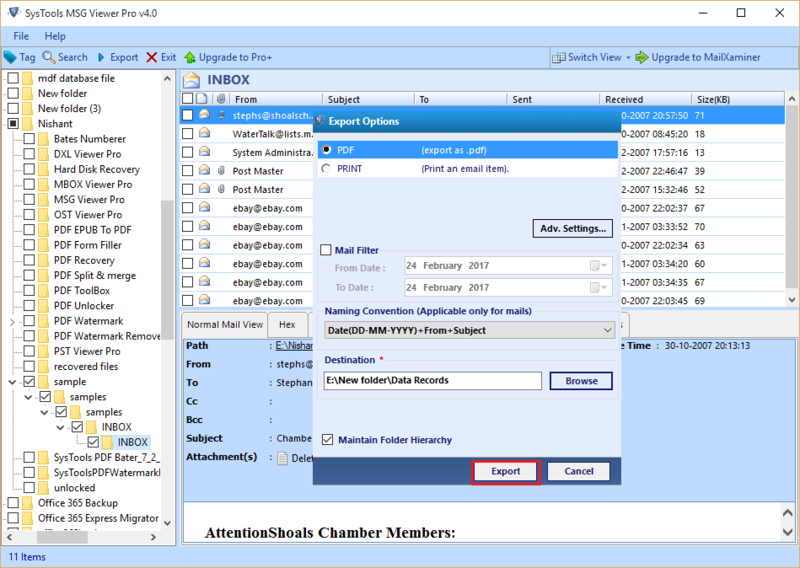 Once clicked on the Export button, this Outlook Emails to PDF Exporter wizard enables the users to track entire conversion procedure. It pops-up a window with properties like folder name, number of items exported, and the destination path. In case the entire procedure is complete, users will get the ways to save the report. 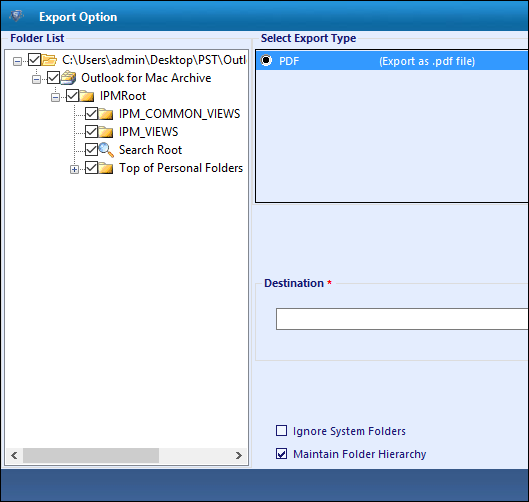 Step 5 : Choose PDF option & enable Mail Filter for performing the selective export of Outlook emails to PDF format. Q. Is it necessary to have MS Outlook pre-installed in the device? Ans: No, this Outlook Emails in PDF Exporter Software does not require MS Outlook already installed in your device. It can work easily without Microsoft Outlook. Q. Is there any provision through which I can view attachments converted from MSG to PDF format? Ans: Yes, using the software, the users can Open portable document file and then click on Attachment icon. This icon is located left side of the screen or on the bottom of the page. Q. 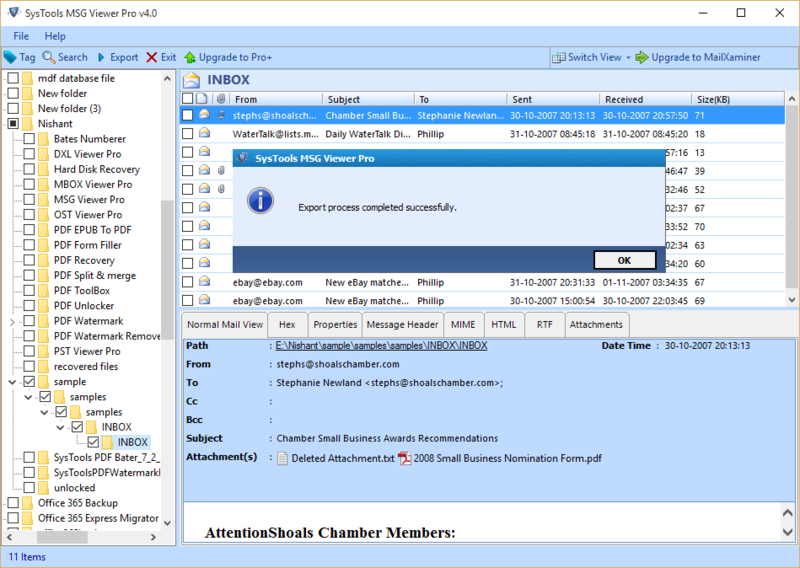 Can I do selective email migration with help of Outlook Emails to PDF Converter utility? Note: Outlook Files to PDF Converter Software will get delivered on your registered email id, within few minutes after placing the order. Outlook emails to PDF converter are the best software to print Outlook 2013 email as PDF with attachments. There cannot be any other software, which provides such a smooth solution to carry out batch PST to PDF conversion. 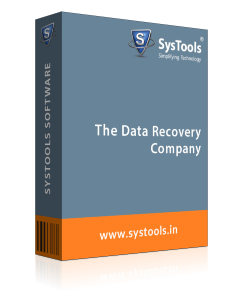 From the bottom of my heart, I want to thanks, entire SysTools team for coding such an excellent software. Thanks a lot! The most amazing feature I liked about this product is Advance settings of PDF file. The Bates number and date stamp option – both these options are very much useful for an official employee. According to me, this aspect makes this product unique in the digital market and forces clients to purchase Outlook files to PDF converter. Thank you! The PST to PDF converter has made our forensic investigator's life easy. It is our daily requirement to convert emails of Outlook 2013 to PDF format. This tool is now the important part of our regular working and literally, we don’t know that what would have happened, if this would not be there. The software works flawlessly with any number of PST files without a single stuck. I really want to appreciate you guys over your achievement when it comes to the migration domain. Seriously, you guys are amazing and the Outlook Emails to PDF Converter product is just beyond expectations. Thanks, developers! MSG to PDF Exporter is one of the best wizards I have ever used. Thank you, I really needed this product in my lean patch. I seriously want to say thanks to the entire team who are behind the wizard generation. I am really overwhelmed by the working of this Outlook emails to PDF migration program that I am falling short of words to express my gratitude. Thanks, developers, you guys are really doing an amazing work. Once again Kudos! for the product. The very first name that comes to my mind if we think about MSG files is MSG to PDF Converter. The tool has the credibility of exporting all the items easily. I really want to appreciate the entire team for your efforts.